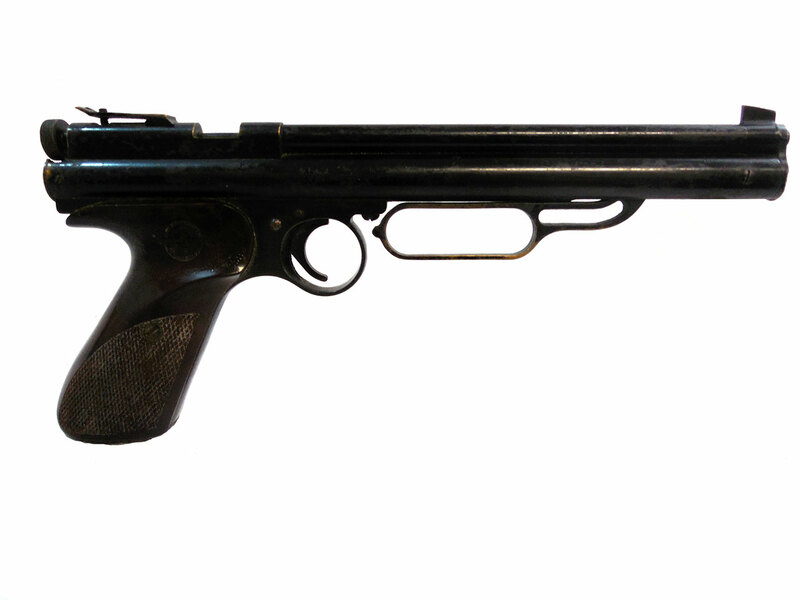 The Crosman 105 Bullseye is a .177 caliber, single shot pneumatic pump pistol. This gun has an 8.4″ barrel, rear sight, and a pump handle with one Loop. 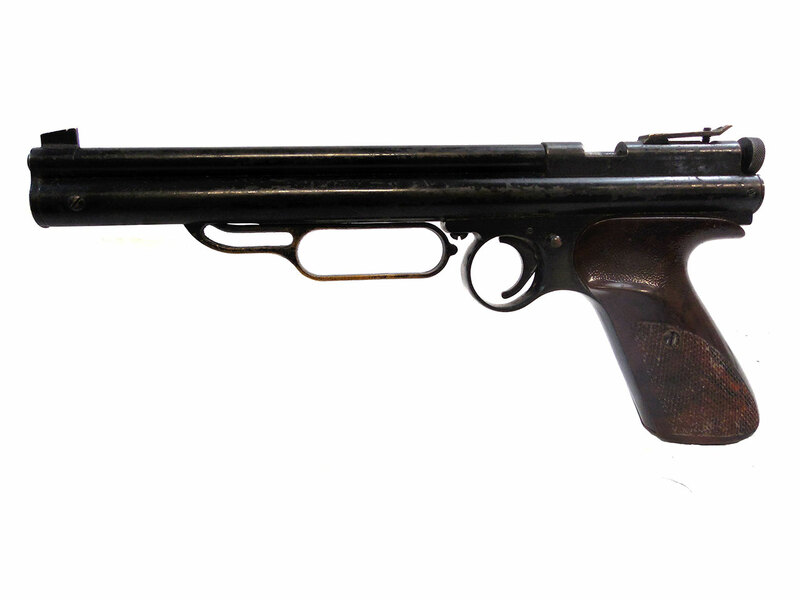 This pistol has about 85% of its original finish,and the plastic grips are in good condition.